The see-through scoreboard at Mosman Cricket Ground: natural air-conditioning. Cricket is, of course, a summer game. 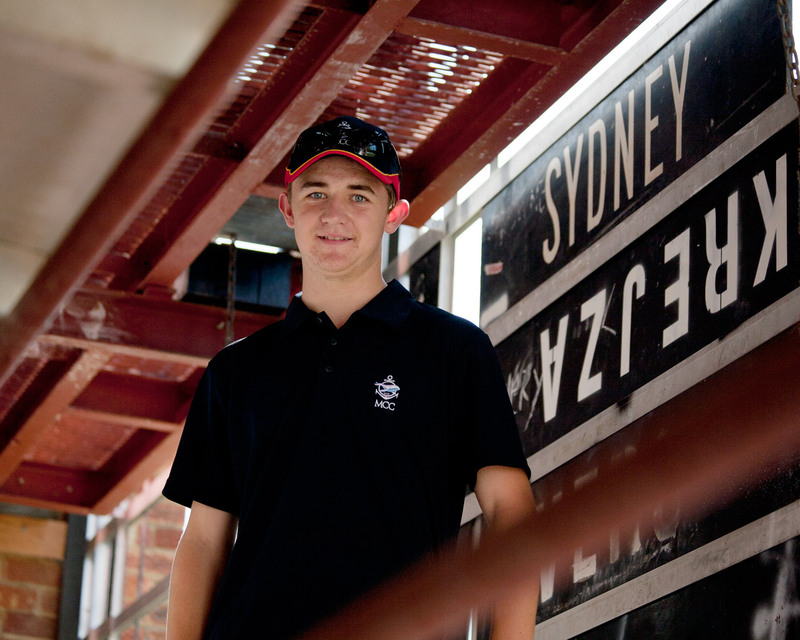 Leigh Gazzard: What I liked about this photo was that the young kid was out there in the scoreboard all by himself, very hot day, and giving up his time to run the scoreboard…I thought he was a terrific kid. 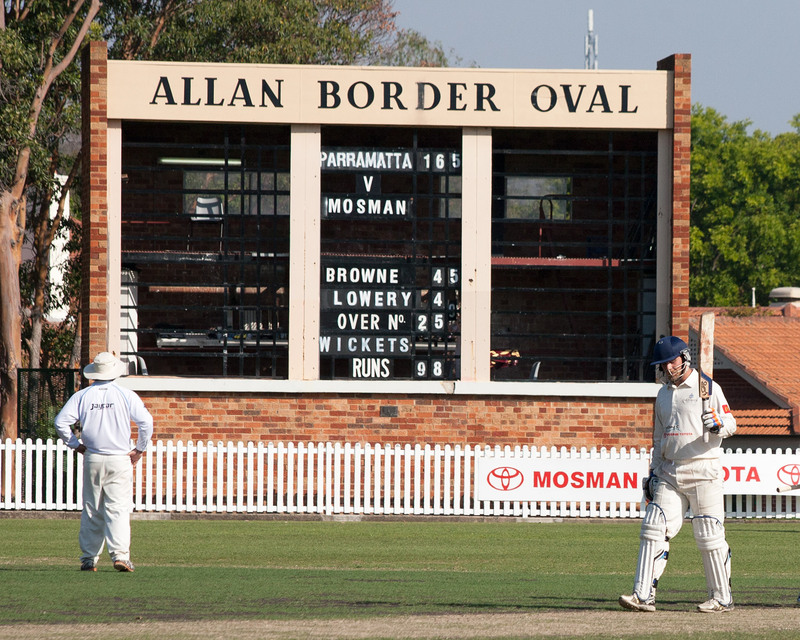 More of Leigh’s photos of Mosman Cricket Ground.